When someone is fighting a life-threatening disease, their body needs additional nutrition. Yet, at a time when it’s more important than ever to eat healthy, many cancer patients (and others fighting for their lives), simply do not have access to the kind of food they need, let alone the energy or ability to shop for and prepare healthy meals. Healthy, ready-made food needs to be available and easy to find. 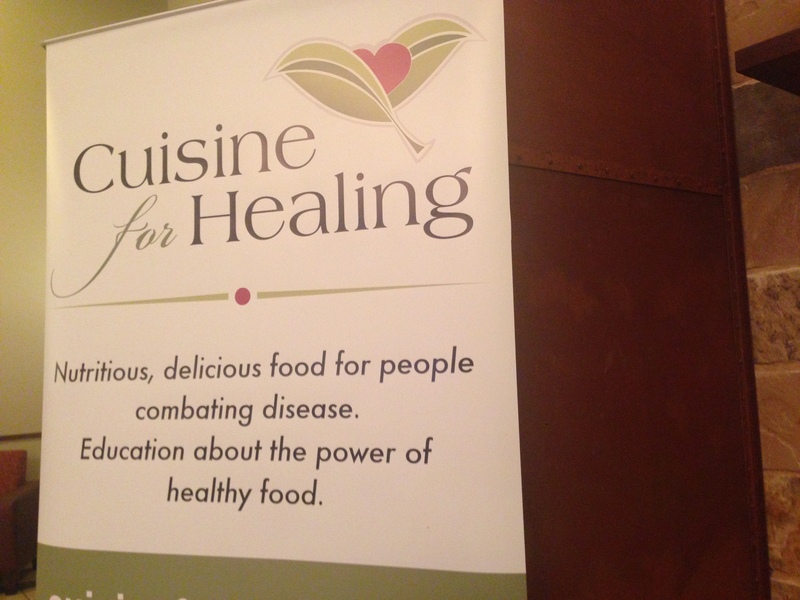 Cuisine for Healing was created out of this need and OUR MISSION is to make nutritious, delicious food readily available to people combating disease, while providing education about the power of healing food. Our driving VISION is a world where cancer and other related illnesses are prevented, treated and even eliminated through the power of healthy food! This event was so fun and they have a fashion show featuring survivors! I love getting the opportunity to give back! The awesome banner below was donated by D & M Custom Signs… How great is that! BIG HOSS TV was AMAZING! To give you reference the little signs to the sides are the size of normal billboards! The picture was crisp and it was a great way to publish information to the crowd. Heck, it even set a world record!! SO I am a little behind on some posts but I have lots of fun stuff to catch up on. 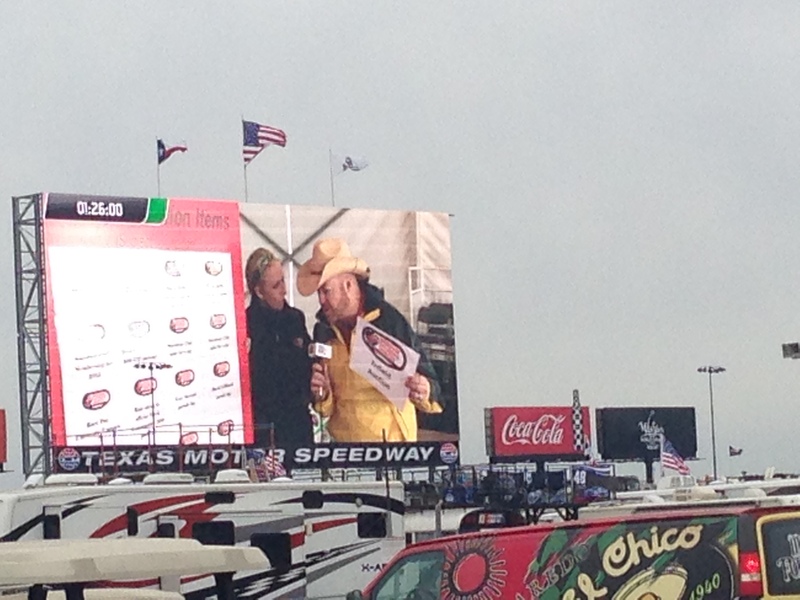 Over the end of the week and weekend I volunteered for Speedway Children’s Charities- Texas. I was so excited to see hold co-workers and friends! Love their website and their mission! Bogity, bogity, bogity… LET”S GO RACIN”! For those of you following my blog, before my current job I worked for an amazing organization called Speedway Children’s Charities- Texas. 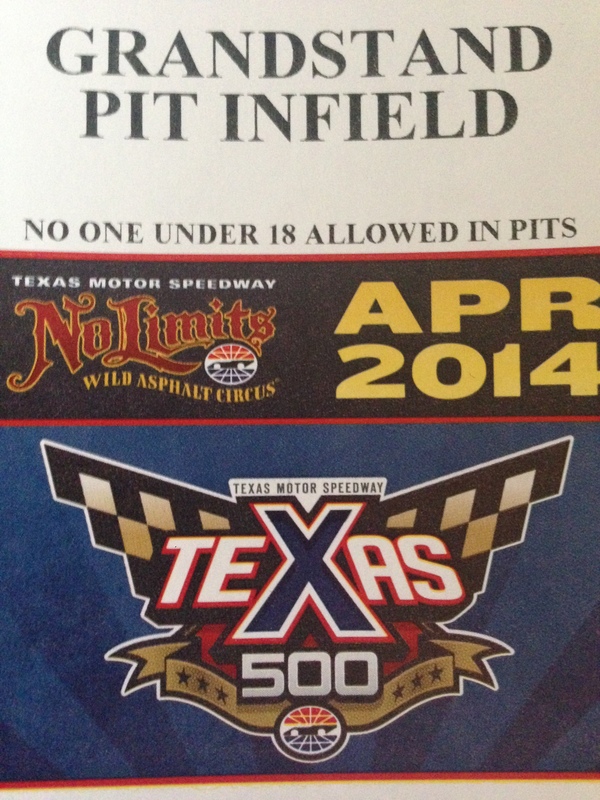 They are the official charity of Texas Motor Speedway. They raise the majority of their money during events that surround the 3 race weekends in Texas. Over the 2 years I worked there I made lifelong friends and it was so hard for me to leave. However, they always are looking for volunteers for their SUPER fun events. SOOOO I am so excited that I got my credentials and can go to the April events and help out! If you live in DFW or in any other the cities with an SCC chapter (Atlanta, Bristol, Charlotte, Las Vegas, Sparta [KY}, Loudon [NH], and Sonoma]) you should get involved! I am SO not the “typical” NASCAR fan. BUT I love learning about a new sport and there really is A LOT that goes on for a race to happen and that fascinates me! Can’t wait to see my track family next week!